RTE presenter Aengus Mac Grianna has announced he is to leave RTE. The news reader, who became an instant internet sensation after footage of him touching up his make-up and fixing his tie was aired accidentally on RTE's digital news channel in 2013, has appeared on Irish TV screens for 30 years. “I told management over six months ago of my decision so this was decided long before any of the changes. I’ve had 30 wonderful years at RTE but it is time for a change,” he told the newspaper. 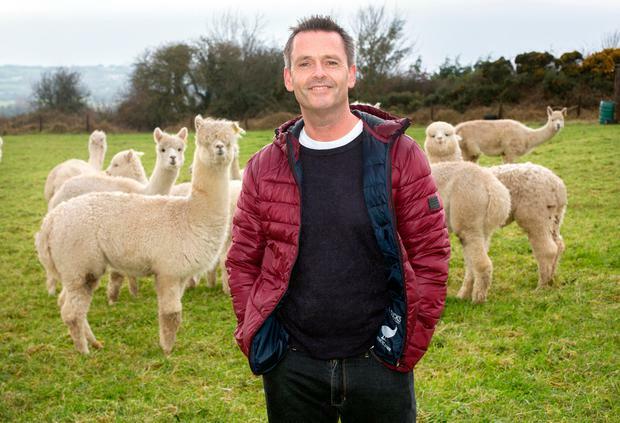 Mac Grianna says he is not yet ready to retire to the quiet life of the alpaca farm he shares with his husband Terry Gill in Co Meath – and may return to university. “It’s a bit like that book The Alchemist. I re-read it again recently and I am following my personal legend, as the book would say. I haven’t fully mapped out where I want to go but I know that I’ll eventually get wherever that is meant to be,” he said. During his 30-year career in RTE, Mac Grianna worked first as a sub-editor, then moved into reporting, and finally worked his way up to become a full-time newscaster. His most famous moment came when, while unaware the cameras were rolling, he was caught applying foundation to his forehead. eBay also used the clip, as part of an ad for its sale season. More than 200 staff are to leave RTE within the coming months as part of a bid to reduce the broadcaster’s workforce. The number leaving is significantly less than the 350 hoped for by station bosses.